The Dutch province of Limburg is looking for revitalization as the existing population is ageing and many young people move away to other parts of the Netherlands. The Nightingales scenario project, initiated by HIT Foundation, developed scenarios for the future of the labour market. The four scenarios revealed the underlying system driving wealth and prosperity. The system demonstrated that the success of the region is dependent on the coherent action of all participants in the socio-economic system. Perspectivity was asked to help turn these insights into concrete actions plans. Together with HIT Foundation we co-created the Nightingales Dialogues. 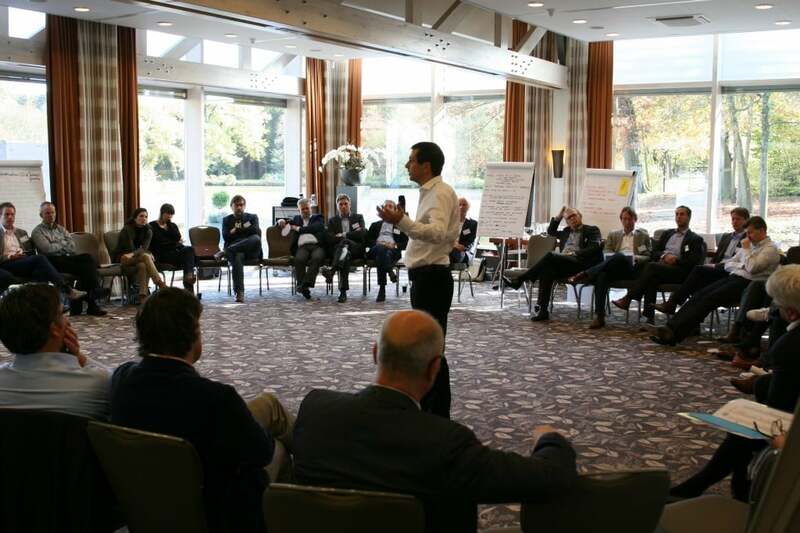 These dialogues achieved a significant milestone early November 2011, when a diverse group of 52 leaders gathered for three days to conduct a Future Search to accelerate the socio-economic development of the province of South-Limburg. The Future Search produced seven inspired missions for 2020, backed up with concrete actions, combined with a boost in energy, inspiration and new connections to support the necessary follow up.